A lot of people have been asking about 32 vs 64 bit versions of Ableton Live. 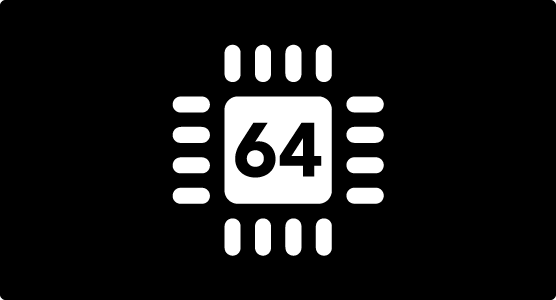 We’ve put together this post to try and dispel some of the myths around the move to 64 bit architecture. 1) MAX FOR LIVE – Some max for live devices will not work (32 bit object used inside max will need to be updated to work with 64 bit). Most of the developers who build these objects are building them for free, so expect it to take some time before the majority of them are updated. 1) RAM – There’s so much more RAM available in Ableton x64 bit. If you’re finding that you manage large sets with lots of tracks/devices/vst’s and you’re getting the mysterious “serious error occurred” in Live, then you are most likely running out of RAM. Since moving to 64 bit Ableton, we’ve noticed this crash virtually never happens, due to the ability to access more than 4gb of RAM. Most computers will easily allow 16gb nowadays, which is a huge speed improvement for Ableton 64. 2) SAMPLERS – If you’re sampling a lot of sounds, and using huge amounts of Clips, also expect your Ableton 32 to slow down, or even crash. 64 bit Ableton seems really smooth compared to 32 bit for sampling. The best/most stable current now seems to be running a 64bit OS, with a 64bit DAW. When Ableton 64 bit first came out we didn’t see much additional benefit. However, after working with it for many months, it has proved it’s ability to be super fast. I´ve been holding off so far, because one vst does not support 64 bit. I haven´t tried the bridge yet, because I was not sure how much improvement it would be, when working with lots of samples, but I need to check this now…, because I haven´t had so many problems with Ableton crashing in years like I had the last few month… and I use many, many more samples/loops since them, so I seriously start to think that this could be the problem. I am pretty sure the next answer should be yes, but questioning anyway: Does Ableton 64 bit also take care of the sample memory of vst software, like Reaktor, or other sample software? These take up most of my sample memory. hey , i was wondering something. i started using a second mixing program along side Live 9 . i use Jack Audio to route channels from Live to this Mixing desk . Now, if my Live is 32 bit and that Mixing Desk program gives me the option of downloading a 64 or 32 bit version , which one do you think i should use ? It would probably be preferable to use the same version as your DAW and Mixing program. The only main reason is portability. For instance, if you create a fxp preset in your DAW you may also want to use in your mixing program? Although, it sounds like you’re sending the audio to another program, so it shouldn’t really matter much whether either program is 32 or 64 bit. This doesnt affect the generated sound in any way, it’s simply for being able to use additional RAM etc. Yes, Ableton 64 will take care of all your VST’s instruments and effects. It sounds like you are reaching the limit. You might notice that the crash happens when you drag something new into the set, like a sample, or device. One thing you can check when you get crashes is the log file. This is located in your preferences folder and has a file ending .log . If you get a crash, scroll all the way to the bottom of that file and see what caused it. You can also check your task manager (if you’re in windows). If Ableton is using up around 3 gig of memory, you’re like to get a crash on Ableton 32 bit. Definitely worth getting Ableton 64 bit if you only have one VST that is 32 bit. You’ll find that you have pretty much limitless ram and the speed of the whole program will improve, especially when your sets get large. If you really need to use the 32 bit vst, then you can always use jbridge, or even open 32 bit ableton a bouncing the audio between 32 and 64 bit might be quick. I am on a mac, osx 10.8.5. My memory shows 4 gb with my personal default project and uses almost 8 gb on a test project with a similar setup I often use most of the time (but still less vsts, effects, etc. like a lite version). I have 16 gb RAM installed. It is obvious I need(ed) the 64 bit version. I tested it with jbridge, bought it and checked some larger projects with 32 bit and 64 bit and noticed that 64 bit loaded much faster and projects seem run smoother. Seems great so far…, but I will get problems with lots of (user/3rd party) MAX devices. I probably won´t be able to use the one or other I guess bouncing stuff as you said is the solution, especially for current projects (some work to do though). I think on a MAC there is only one version of Max and this works for 32 and 64 bit, so you should be ok here. I doubt you’ll run into problems with Max devices not working because of lack of externals. When you’re loading your max devices you might want to right click on the top of the and select “open max window” to see if there are any errors in there. If you are missing externals or there are any errors they will show up in here. On the Ableton site you can choose between MAX 32 bit, or 64 bit for download. I´ll try it like you said and hope it will work. Looking forward to try XYFX touchscreen, looks promising! I think it basically detects which system your OS is and then installs based on that. In other words I don’t think you need to worry about which version you have installed. It will just work. Windows is a slightly different matter. Ahhh, thanks for the link and the explanation! A) does ableton 64 filter out vsts/au devices that won’t load? Or will I have to go in and try them all to see what ones work and what ones don’t? B) will ableton 64 and 32 rewire to each other? Not sure what you mean? Will ableton 64 filter out 32 bit VSTs?. Well no, it just wont see them at all. Ableton 64 can only see 64 bit VST and Ableton 32 can only see 32 bit VST (unless you have JBridge, which bridges all your VSTs with a 64 bit file loader) Ableton generally filters out VST’s it cannot load (due to errors), it does this in a file and blacklists them. Generally all 64 bit VSTs should work with ableton 64. Its probably best to install your 64 and 32 bit VST’s in different folders, to ensure you dont get mixed up. It is as XMONSTA says. I also bought JBridge and it does create an extra folder you can access as a “user” folder beside the regular VST folder in the Ableton browser. Not sure when JBridge updated their software lately, but it seems obvious that the need for JBridge is less urging, or important nowadays, since most companies updated their plug ins to 64 bit, so updates seem less likely I guess. I save all the converted VST´s as fxp´s in Ableton in each set up I have to my live set folders, so I can load them in case this happens. The problem here is that you have to save all the the time if you did changes in the plug in before closing Live. I’m on a mid 2010 Mac Pro 2.8 GHz Quad, 16 GB RAM. I’ve got Standard, and I have the 32 Lives bridge. I’m running the 64 bit verso of Live 9 on Mavericks. I’ve had it a while but I’m just getting round to learning it (I’m mostly on Logic). I’ve heard it said on an instructional video that 32 bit is usually recommended – I take it that information could be a little out of date? I’m having no trouble so far with 64 bit?